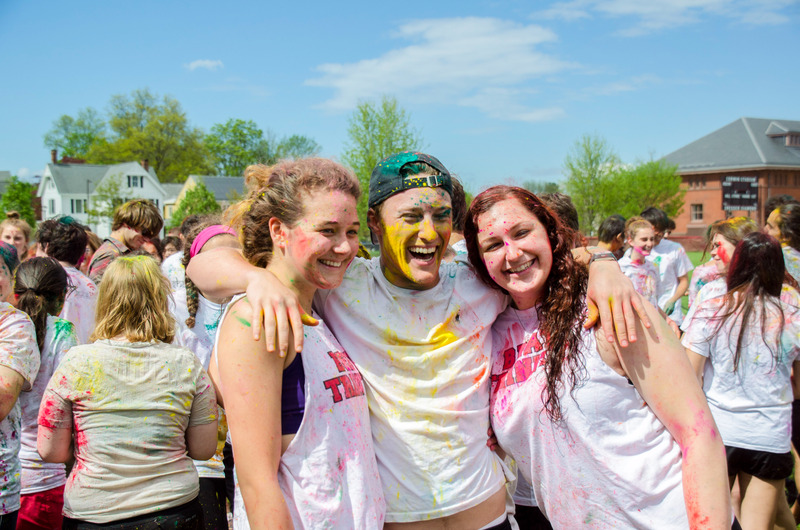 Foss Hill erupted with clouds of color on Saturday as students gathered to celebrate the Hindu festival of Holi. 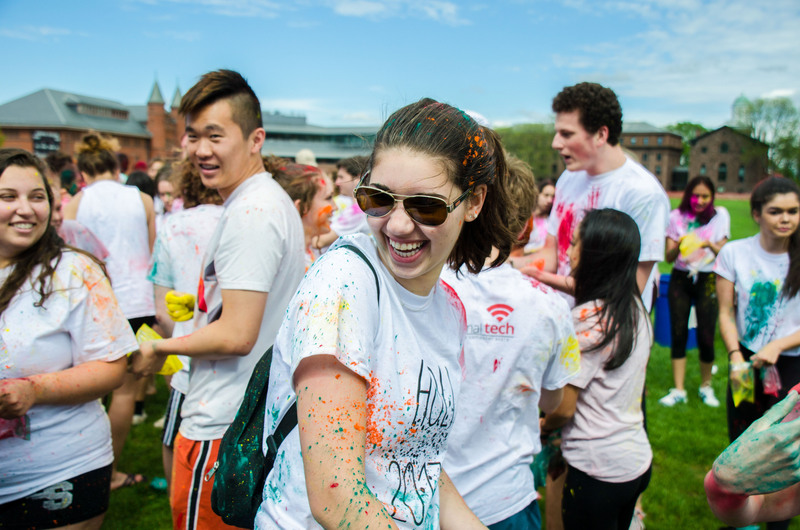 Sponsored by Shakti, the University’s South Asian student organization, the event attracted large crowds of people dressed in white shirts eagerly waiting to cover one another in various shades of gulal, a colored powder. The University’s celebration fell later on the calendar than most celebrations around the world, which usually occur in early spring. 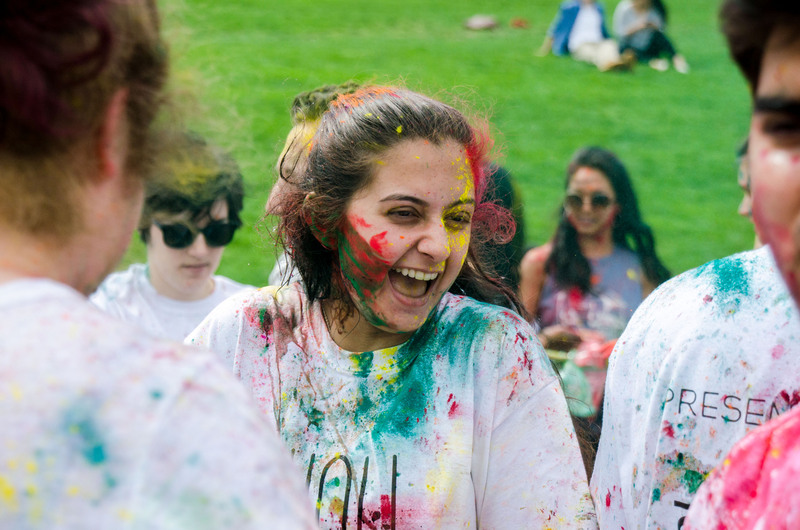 “We celebrate Holi in May because it’s warm, but it’s actually something that’s celebrated in February or March in India because it’s hot there earlier,” said Esha Bhandari ’20. 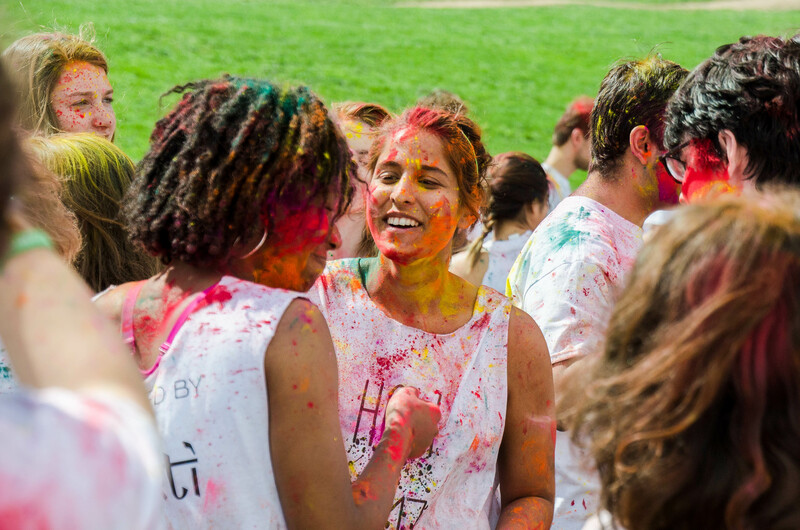 As Krittika Roychowdhury ’18 explained, Holi is, in part, a celebration of spring, so it is typically observed as soon as the traditional winter season ends. Holi also signifies the triumph of good over evil, commemorating the death of the evil goddess Holika. Shakti worked for many weeks preparing the event to ensure that it was inclusive for all South Asians and the greater Wesleyan community. One of Shakti’s biggest concerns for the event was balancing the public nature of the Holi celebration while spreading awareness of its greater cultural significance. Roychowdhury wanted Holi to be accessible for everyone as long as they understood that the event has deeper cultural, historical, and religious meaning. 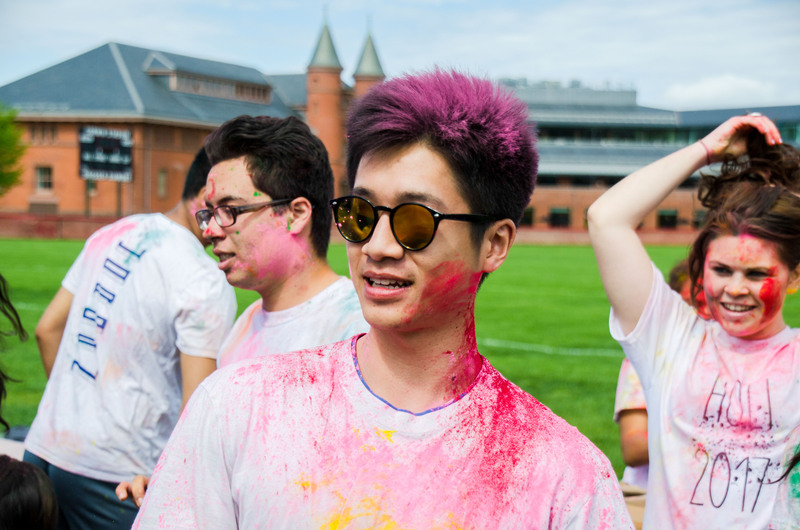 “Holi has definitely been appropriated over the past couple of years, so we’re trying to change so that everyone can enjoy the holiday without using cultural tropes like ‘holi cow’ or something like that,” Roychowdhury said. To ensure cultural awareness, Shakti handed out information sheets to the lines of people purchasing powder and t-shirts. 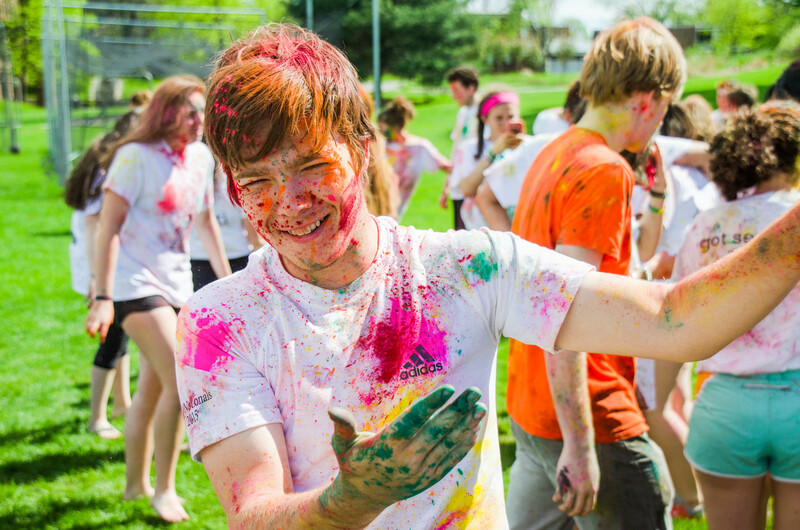 Students welcomed the information, talking to Shakti members about the celebration and dancing to music playing over the speakers before dousing each other with water balloons and bright powder.